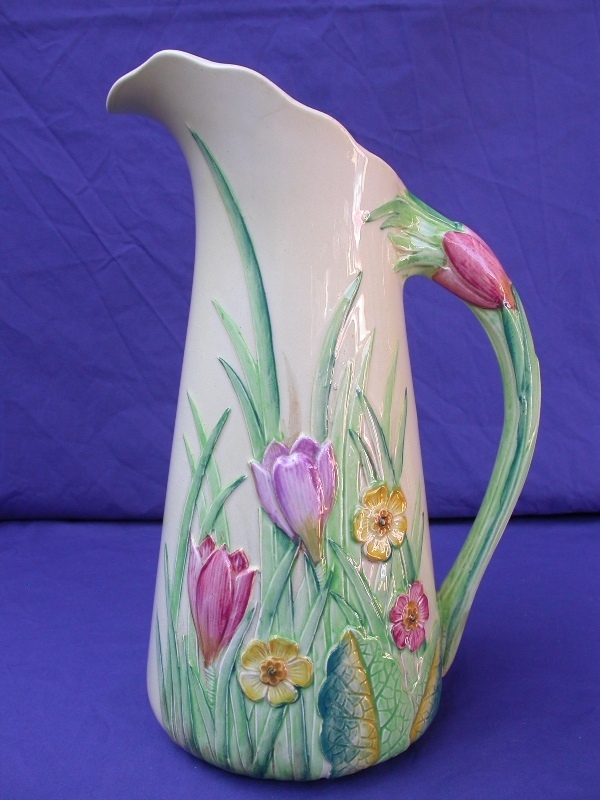 Carlton Ware introduced the embossed Crocus range in the late 1930's.� This was another addition to a long sequence of flower and fruit designs that are very popular with Carlton Ware collectors. 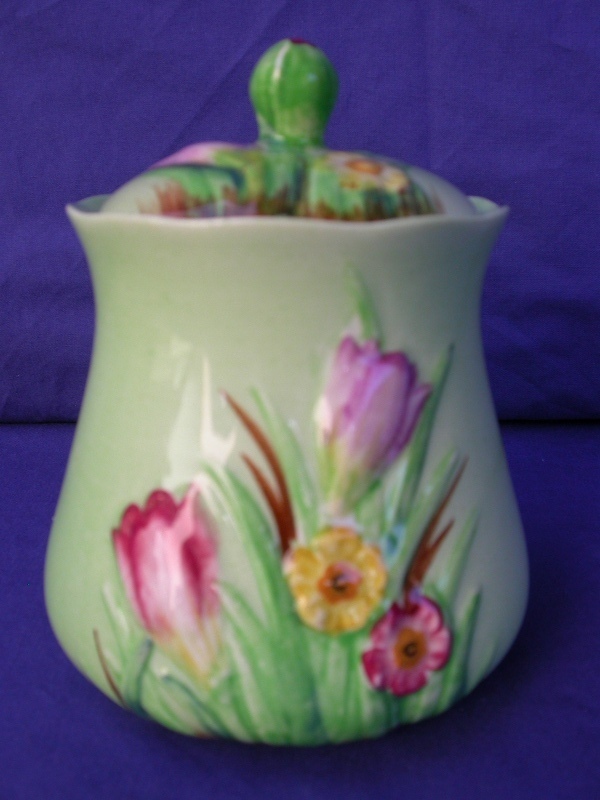 This design was produced in two colourways of light green and pale yellow.� The design of pretty spring flowers is very fetching and pleasing to the eye in these subtle colourways.� As usual the Carlton Ware paintresses paid a lot of attention to all the finer details.� It is finished with a nice glossy glaze. This design is a realistic representation of spring flowers sprouting through the grass.� The combination of mauve and red crocus flowers and yellow and pink primula flowers shown in full bloom is very pretty.� The accompanying crocus leaves are very realistic and what you would expect to see in the wild.� The primula leaves are tinged with yellow to authenticate the look.� To complete the picture the flowers and leaves appear to be sprouting from soil at the base of the design.� The jugs in this design have a crocus flower embossed into the shape of the handle, which adds another dimension to the design.